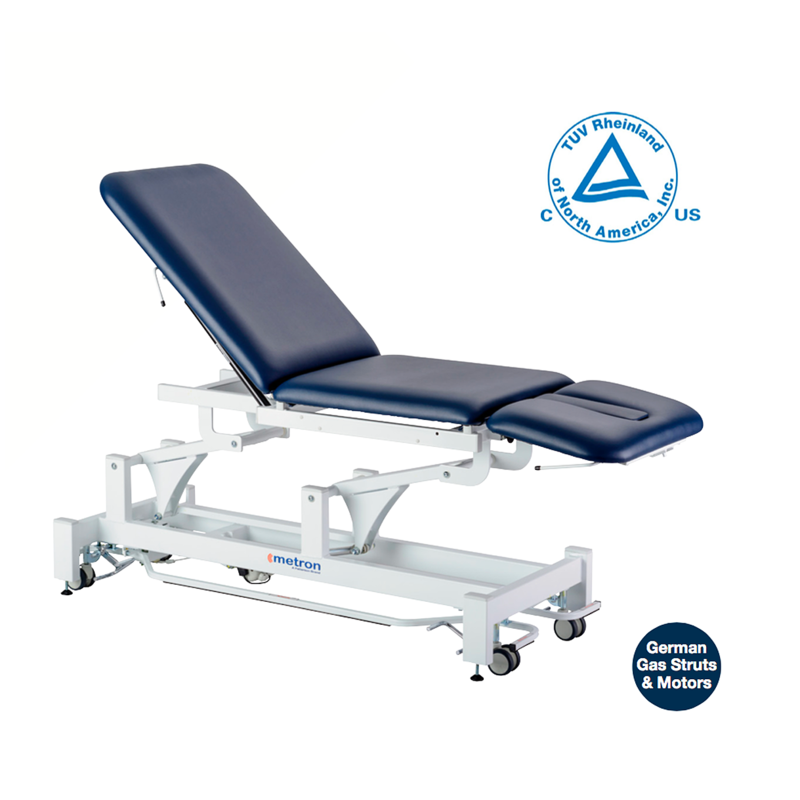 A favourite of sports physios, the Elite Aster is suited for heavy manipulation with the top section completely supported by a steel frame. The elongated face hole gives complete freedom for patient positioning including pediatrics. This table also features quality actuators, gas struts, Dacron bearings and retractable castors. The Aster also features a ‘Surround Elevating Bar’. This wrap-around bar allows the practitioner to activate the height adjustment of the table from positions around the table. There is no longer a need to have a separate foot switch that requires to be moved from one side to the other. The foot switch option is however, still available, if required. Standard with face recess hole and plug.